The 6th-seeded ’82-’83 Edmonton Oilers never really got going in Game 1. Well, they got going early here in Game 2. Jaroslav Pouzar scored just three minutes and 20 seconds into the game, his seventh of the tournament, to give Edmonton their first lead of the Ultimate NHL Playoff Final. Then, after just 42 seconds, defenseman Paul Coffey scored his fifth of the tourney to give the Oilers a 2-0 lead. Later in the first, with about four and a half minutes left in the period, Jari Kurri was called for cross-checking and sent the top-seeded ’76-’77 Montreal Canadiens to the PP. It took less then 30 seconds for the Habs to capitalize when Steve Shutt scored his 17th to cut the lead down to 2-1. Montreal went back on the PP when Wayne Gretzky was sent off for cross-checking, as well, with just over two minutes remaining in the period. This time, it took almost the full PP before the Canadiens capitalized as Guy Lafleur potted his 13th to tie the game with just seven seconds left in the opening frame. 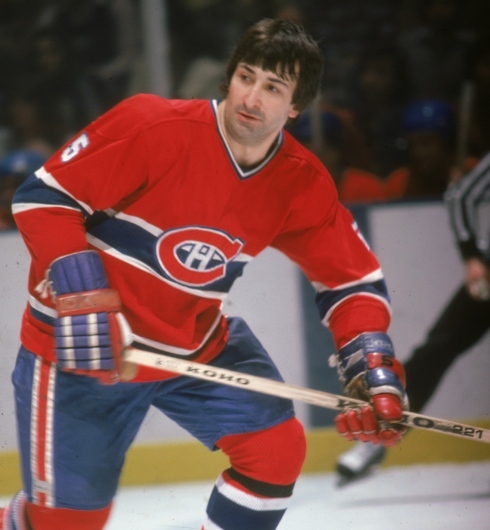 The top-seeded ’76-’77 Montreal Canadiens continued their pattern of scoring early goals with a goal from defenseman Guy Lapointe, his 11th, just over three minutes into Game 1. The first period ended with that scoreline despite the Habs outshooting the 6th-seeded ’82-’83 Edmonton Oilers 16-4. Edmonton goalie Andy Moog was very busy, clearly, but was keeping the game close, but that would not last in the second period. Rejean Houle finally broke through Moog with his fourth of the tournament eleven minutes into the middle frame. That would be the start of the breaching of the floodgates. Exactly at the 12 minute mark, Mark Messier was sent off for high-sticking. Guy Lafleur responded for Montreal on the resulting PP with his 12 of the tournament to open up a 3-0 lead. Montreal normally has a fairly easy time getting to the Final. That was certainly the case this year as they lost only one game in this tournament so far. That was back in the Third Round when they eliminated the 16th-seeded ’02-’03 Dallas Stars in five games. They have swept every other series. Their tournament began with a sweep pf the 32nd-seeded ’84-’85 Winnipeg Jets. Then, after dispatching of the Stars, they faced the 25th-seeded ’09-’10 San Jose Sharks in the Quarterfinal, which, of course, was a sweep. That set up their second consecutive Semifinal matchup against the Philadelphia Flyers franchise. This time it was the 12th-seeded ’84-’85 Flyers, who fared worse than the previous year’s representative. Now, the Habs are here again. The Montreal franchise have won the first two UNP’s and are the favorite to win the third. The Oilers had a little more difficult of a run to the Final. However, they also began their tournament with a sweep. They faced the 27th-seeded ’99-’00 Florida Panthers in the Second Round and dispatched them in four games. Then, in the Second Round, Edmonton faced a UNP debutant in the 22nd-seeded ’09-’10 Vancouver Canucks. Game 1 of that series was a blowout with a margin of victory of 10, but the rest of the games were much closer. However, the Oilers eliminated the Canucks in only five games. They continued their run with a sweep of the 19th-seeded ’05-’06 Mighty Ducks of Anaheim in the Quarterfinal. That series also featured a dominant Game 1 win by Edmonton, but much closer outcomes in Game’s 2, 3 and 4. The Oilers then faced the same franchise, the Colorado Avalanche, in the Semifinal as they did last year. This year it was the ’95-’96 Avalanche. The home team won every game of that series and the Oilers finally clinched their spot here with an 8-5 win in Game 7. Up next will be a preview post for the Third Annual Ultimate NHL Playoff Final round and then after that, it’s time for Game 1! Let’s do the sweep first. The top-seeded ’76-’77 Montreal Canadiens clinched yet another trip to the Ultimate NHL Playoff Final and this time by sweeping the 12th-seeded ’84-’85 Philadelphia Flyers. Game 1 was decided in overtime with Pete Mahovlich scoring the OT-winner. The rest of the series went off without a hitch for Les Habs. The closest margin of victory of the next three games was three (twice). 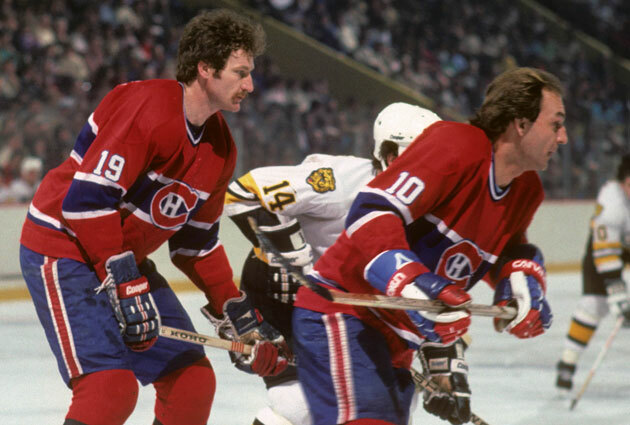 The two Guy’s led the way offensively for Montreal in the series, Guy Lafleur and Guy Lapointe. Meanwhile, there weren’t too many PP opportunities in the four games, but both team’s were very good with the man advantage. The Flyers went 2-for-4 while the Canadiens went 6-for-7. Meanwhile, the other Semifinal went the distance. The 6th-seeded ’82-’83 Edmonton Oilers were finally able to dispatch the 15th-seeded ’95-’96 Colorado Avalanche with an 8-5 win in Game 7. In terms of shots and chances, the two sides were not that far off as Edmonton only out shot Colorado on average by three shots per game. However, it was goaltending that was the Avalanche’s downfall. Goalie Patrick Roy has struggled in this tournament as a whole, which is surprising, but had an especially hard time in this series. Granted the opposition that kind of explains it, but his .868 save percentage over the seven games is dreadful. When Edmonton won in this series, it was by at least three goals every time, but whenever Colorado won, it was one-goal margin each time. There you have it as far as the stat leaders among overall teams. I’m now gonna work on a post for skater and goalie stat leaders and have that posted shortly.